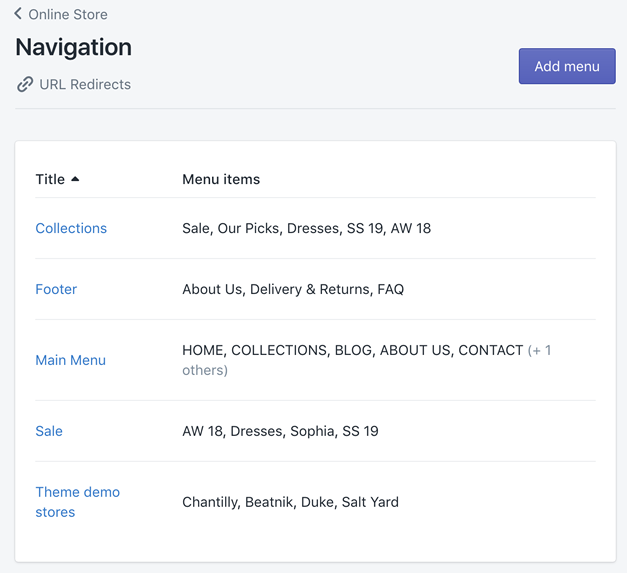 Recently, Shopify introduced a fundamental change to how complex navigation menus are constructed for your store. Updates were rolled out to all of our themes at the appropriate time, so that there was no service interuption for our users - people with older theme versions continued with the old method of arranging menus and new store owners got both the new theme version and the new method of building menus. However for a small number of stores running older theme versions, it is possible you might encounter a problem when updating your menu structure. 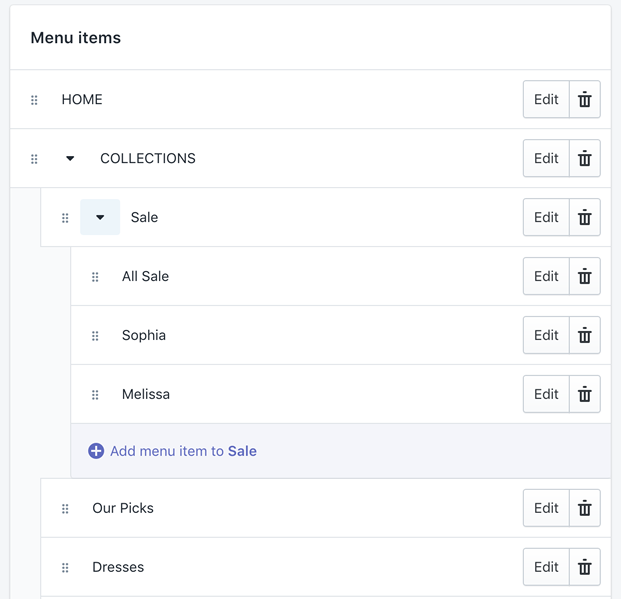 You have recently updated your theme and are no longer seeing drop down menus on your store, it's because you need to build the Main menu in the new style, by conjoining your previously separate parts into a single menu.